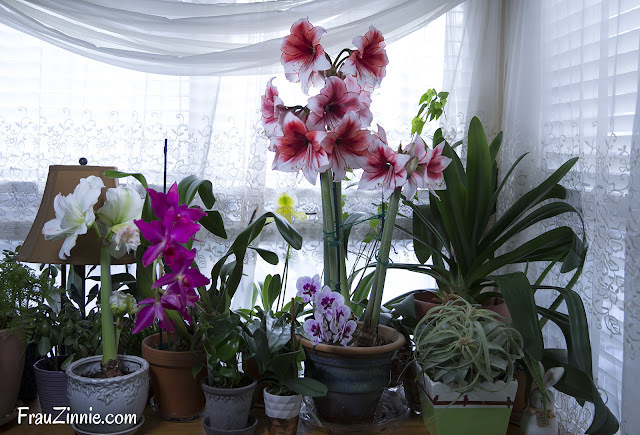 These are only some of my houseplants (and some are garden plants riding out the winter indoors, such as that flowering maple). There's also a new baby monstera in there from Terrain. The lady slipper orchid that is reblooming (that I purchased last year from NYBG) is still looking perfect, too. And the good news of the day— my clivia (back right corner) is getting ready to bloom again! What's blooming in your home?